Four death row inmates who were sentenced before Maryland abolished capital punishment last year could end up serving life without parole if the state’s attorney general prevails in legal arguments filed Thursday. 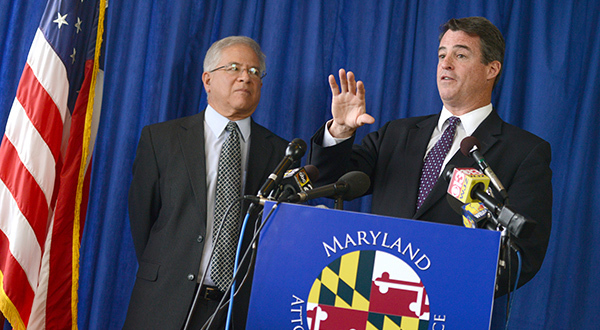 The move by Attorney General Doug Gansler could also pressure Gov. Martin O’Malley — a death penalty opponent — to consider commuting their sentences. Gansler filed a brief with the Maryland Court of Special Appeals to support attorneys for Jody Lee Miles, who contend his death sentence is illegal because Maryland no longer has a death penalty statute. Gansler’s brief asks the court to sentence Miles to life without parole or direct a circuit court judge to do so. Gansler said oral arguments are scheduled before the intermediate appellate court on Dec. 8. The repeal enacted last year applied only to future death sentences, leaving four men on death row. Gansler’s brief applies specifically to Miles, but he said it would leave the door “wide open” for attorneys for the other three men to seek an illegal sentence ruling. “It would be ineffective assistance of counsel for the lawyers for those three defendants not to file a due process claim to get them off death row in the wake of this,” Gansler said. Gansler, who opposed the death-penalty repeal, appeared at morning press conference with Del. Sandy Rosenberg, a sponsor of the repeal measure, to announce his agreement with Miles’ position. The attorney general said it is wrong to keep Miles under a death sentence since Maryland no longer even has regulations or procedures in place to carry out an execution. Rosenberg, a Baltimore Democrat, noted that the law expressly provided for the possibility of reducing the current death row inmates’ sentences to life without possibility of parole. Miles was convicted in the 1997 robbery and murder of Edward Atkinson in Wicomico County. Queen Anne’s County Circuit Judge Thomas G. Ross rejected Miles’ argument that the repeal should apply to him, too. Miles is appealing that decision. Wicomico County State’s Attorney Matthew Maciarello said he notified Atkinson’s family when he learned of Gansler’s decision on Wednesday, and they vehemently expressed their opposition. “It is the opinion of this office that the state of Maryland is letting the Atkinson family down,” Maciarello wrote in a statement. He said the families of victims “deserve closure rather than boundless and endless litigation,” noting that lawmakers did not intend for the repeal to be retroactive. 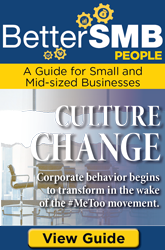 “Governor O’Malley signed the death penalty repeal, therefore he should take action to deal with the repeal’s unintended consequences — consequences that affect our victim’s family,” Maciarello said in a statement. Michael Lawlor, an attorney for Burch, said he filed a commutation request for his client within the last few months with the governor’s office. Lawlor said he is awaiting the governor’s decision. Lawlor also said he would consider asking the court to take action. “It looks as though this is a next step in ridding the state of the last bit of the death penalty that remains in Maryland for these four individuals,” Lawlor said. Nina Smith, a spokeswoman for O’Malley, did not immediately return a call seeking comment. In addition to Miles, the men on death row at Maryland’s North Branch Correctional Institution in Western Maryland are Vernon Lee Evans and Anthony Grandison, both of whom were convicted of the murders of David Scott Piechowicz and Susan Kennedy in April 1983; and Heath William Burch, convicted of killing Robert and Cleo Davis in 1995. A former death-row inmate, John Booth-El, died of natural causes in his cell this April. He faced the death penalty for killing Rose and Irvin Bronstein in May 1983. Maryland has been under a de facto moratorium on capital punishment since December 2006, when the Court of Appeals invalidated the state’s execution protocols because they had not been adopted in compliance of the Administrative Procedure Act. In February 2011, the O’Malley administration withdrew its proposal to revise the protocols, saying further review was required because one of the lethal-injection drugs — sodium thiopental — was no longer available in the United States. No action was ever taken to approve any protocols. “We’re distinguishable from all the other states in the sense where we have this problem where we don’t have an enabling statute on the books right now to promulgate lethal injection protocols,” Gansler said. Daily Record legal affairs writer Steve Lash contributed to this report. This is putting it mildly, right?